Swapping out Fred Hooven’s modern and vastly superior radio compass/ADF for the older, lighter, and, allegedly, “more reliable” model on AE’s Electra really doesn’t make much sense. It had already been proven reliable in tests and actual use. The weight difference must have been negligible, and, if not, could have been made up for in other ways. I’d reason that most likely the swap was made was to preclude Hooven’s state-of-the-art ADF from falling into the hands of the Japanese in the event of the Electra coming down in their territory. Cam Warren’s article states “It seemed highly likely to Hooven that the crew and perhaps the Electra were recovered by the Japanese prior to the arrival of COLORADO’s search planes several days later”…. yet the Hooven Report concludes “the flyers landed in the Phoenix area, probably on McKean or Gardner, that they transmitted signals from there during the next three days, that they were removed by the Japanese, who either removed or destroyed their plane, that they were taken to Saipan, where they died sometime before the end of 1937.” It doesn’t seem possible that the Japanese could have “removed” AE & FN and the Electra from Gardner Island in the midst of the unprecedented massive search underway by the US Navy without being detected. Correction…include only the last sentence (I was reading highly “un”likely in the first quote). Yes, the idea of the Japanese mounting a short notice operation to sail past/through the massive U.S. Navy search to essentially kidnap AE and FN as well as remove the Electra and all traces thereof from Gardner Island, and get away undetected, stretches all credulity. How an intelligent human being such as Fred Hooven could have come up with that idea is simply beyond me. Hooven soon recanted what was known as the McKean-Gardner Island landing theory after working with Fred Goerner, who apparently convinced him the fliers could not have possible landed on Gardner (Nikumaroro) with so many different people living there from the late 1930s on. Here’s a link to Hooven’s paper, “Amelia Earhart’s Last Flight,” which he submitted to a 1982 Smithsonian Air and Space Symposium, and which was later absconded by the always reputable group at TIGHAR as their own. Was it the same Cam Warren who was a well known automotive writer? I believe that is the case, but as I said my current info on him is limited. I lost his email address long ago and the people locater site Intelius says he’s 95 and still living in Las Vegas. However they are often wrong about whether someone is with us or not. I could find no obit for him. I read the Hooven Report at the website provided. Many thanks. Hooven stated in his report that the weight saved by removing his radio compass and replacing it with the older, but lighter yet less capable one was about 30 pounds. To my mind, given the absolutely critical need for the most precise navigation possible to hit a flyspeck of an island in the vastness of the Pacific Ocean trading a state-of-the-art radio compass for an inferior one just to save a mere 30 pounds makes no sense. It is a classic case of being “penny wise and dollar foolish.” To make my point consider this, 30 pounds of Avgas is equal to 5 gallons and at the rate the Electra’s P&W Wasp engines consumed fuel at anywhere between 38.6 to 51.5 gph, 5 gallons is roughly, maybe 5 or so minutes of flying time more or less. Over the course of a 20 hour flight five or so extra minutes of fuel is really next to nothing. It’s certainly nothing you’d want to bet your life on. The Wasp engine fuel consumption data is taken from “Amelia Earhart What Really Happened at Howland” by George Carrington — Unabridged Report IV., Appendix II, Page 190. Bottom line: Were I flying ’round-the-world, and especially on that long, lonely 2,626-mile stretch over water from Lae, New Guinea to Howland Island, I’d rather have the most capable radio compass available than just five pitiful extra gallons of fuel. Having flown the Atlantic solo in 1932 as well as Hawaii to Oakland in 1935, AE knew all too well what was at stake. Like I said in a previous comment, the only thing that makes sense to me vis-a-vis removing Hooven’s radio compass and replacing it with the older, less capable one is that the U.S. Government simply did not want to take the chance of it possibly falling into Japanese hands. So WHO led the Putnams to make the decision to remove Hooven’s device? Warren doesn’t seem to know either. And why would Hyland deny his prototype was ever on board to begin with, when it was common knowledge? As William stated, trading a state-of-the-art radio compass for an inferior one just to save a mere 30 pounds makes no sense……in fact the increased drag more than offsets the additional fuel as Hooven mentions, so that doesn’t seem to explain the switch. In Hooven’s 1966 letter to Fred Goerner he describes Hyland as a “Navy man” and goes on to say “From what you say about the Navy’s involvement in the affair, it could well have been that the Navy persuaded her to take out this piece of equipment that had been developed in connection with the Army Air Corps”. Who knows? Good catch with the 1966 Hooven letter. If it was the Navy that pulled Hooven’s radio compass, why didn’t they have the grace to tell Hooven? Or did they? 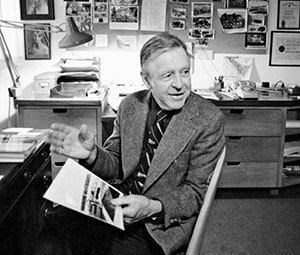 I’ve spent a good chunk of today pouring through, re-reading Chapter VI of Don Dwiggins’ “Hollywood Pilot” The Biography of Paul Mantz, for any possible clues about the switching out of the radio direction-finding compasses. It’s been awhile since I’ve read it. Dwiggins’ book does not provide much information about the radio direction finder, but says that Mantz himself installed the Bendix loop antenna on the Electra as a back-up to the trailing wire antenna. There is no mention anywhere of either Lawrence Hyland or Fred Hooven, nor is there any discussion of swapping out the actual radio direction-finding compass. It sounds to me from this account that AE had a good handle on operating the radio compass, and worked well with FN on the flight. Dwiggins writes that Mantz was satisfied with FN’s navigation. He was less impressed with Captain Harry Manning. Dwiggins further writes that on the day AE slipped out of Oakland for Miami in the Electra on what was announced as a test flight with Fred Noonan, George Putnam, and mechanic Bo McKneely aboard, Paul Mantz was in St. Louis, Mo participating in an aerobatics competition. Dwiggins says that when Mantz heard the news on the radio that AE had departed Oakland for Miami he was furious. It seems strange to me that, as how Paul Mantz was AE’s flight instructor, coach, and good friend who’d worked full-time since February 1937 to prep her and the Electra for the ’round-the-world flight, he would be so abruptly and unceremoniously cast aside. About what the U.S. Government may or may not have told Fred Hooven about the removal and substitution of his radio direction-finding gear for Bendix’s product, who knows? So far, I’ve not been able to pin down when or where the swap of the radio direction-finder equipment actually occurred. As for who may have put it to AE and Putnam to switch out Hooven’s radio direction finder for the Bendix gear and why, again, who knows for sure? I’d hate to think, however, that AE and FN were denied use of the very best equipment available to them because of some Army/Navy rivalry or corporate machinations. Lawrence Hyland’s denials that AE’s Electra was equipped with a Bendix product, although it was common knowledge that it was does not surprise me. Today we call it “spin.” Hyland was most likely protecting Bendix’s corporate image and reputation from tarnish (nobody likes being associated with loss or failure) to say nothing of Bendix’s stock value in a market still struggling from the Great Depression. Excellent work, William. I think you’ve exactly nailed Hyland’s denial. Thanks so much! Interesting about Paul Mantz; as knowledgeable as he was, I would have thought he would have advocated for the use of Hooven’s new improved DF. One would think so. I think Fred Noonan would have advocated for the new gear as well. However, from Mantz’s account of the 17 March 1937 Oakland to Honolulu flight in Dwiggins’ “Hollywood Pilot,” it’s unmistakably clear that AE was using the older radio direction-finding gear. This begs the questions then, exactly when was Hooven’s radio direction-finding gear installed in the Electra and when was it removed? From 24 July 1936 when AE and Putnam took possession of NR16020 to 17 March 1937 and essentially the start of the first world flight attempt is, lacking a just few days, 8 months. 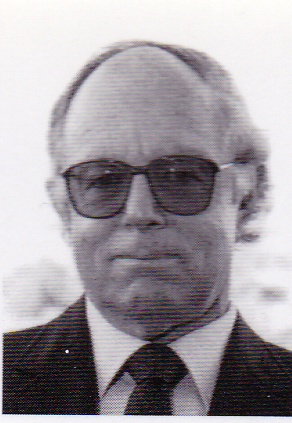 There are numerous references to Frederick J. Hooven in a number of books, including TTAL; however, those are references to the Hooven Report and his initial Gardener Island theory, which he later recanted. So far, the only reference I’ve found that gives even the vaguest hint as to when the installation of his radio direction-finding compass in the Electra occurred is in Paul Rafford, Jr.’s “Amelia Earhart’s Radio.” On page 21 Rafford writes, “We know that one of Hooven’s automatic direction finders was originally installed on Earhart’s plane. But later, it was replaced by a conventional, manually operated loop.” Rafford goes on at length about Hooven’s ADF being a great advancement in technology, but says the reliability of then state-of-the-art electronics lagged far behind. He sites this as the reason for the swapping out of the Hooven DF gear. I take it from Rafford’s comments that “originally installed” meant Hooven’s radio direction-finding compass came as original factory installed equipment from Lockheed. It may have been replaced as early as February 1937 when Paul Mantz took up full-time work as AE’s technical advisor. Cam Warren’s article says Hooven’s DF was installed at Wright Field in Dayton Ohio in 1936 when he met AE, and later says it was removed “soon after installation”. Fred Goerner mentioned it in his 1991 letter to Life Magazine (Mike’s February 23, 2016 post) and gives more insight into the reason for the removal…”Hooven and the then U.S. Army Air Corps allowed one of those (then new) direction finders to be installed aboard Earhart’s plane, and Hooven met directly with Amelia Earhart. 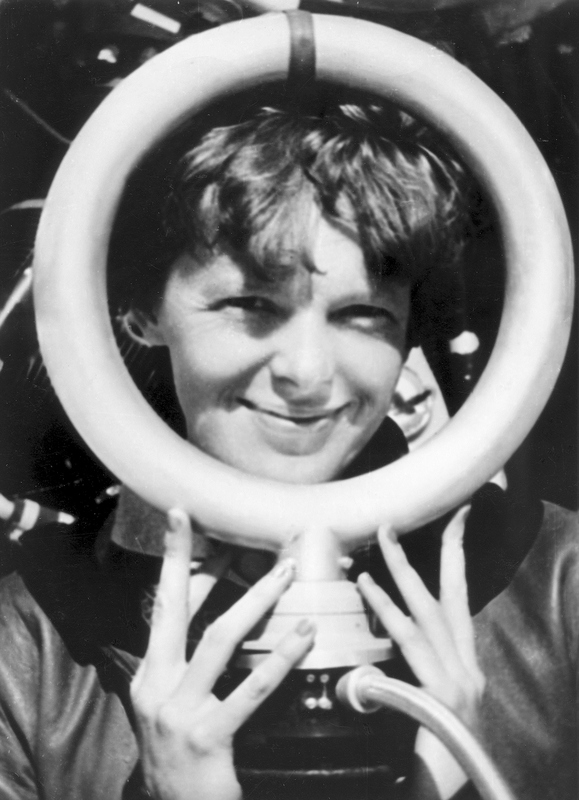 Because of pressures from her friend, Eugene Vidal, and a division of Bendix Radio, Earhart removed the Hooven device and replaced it with an older null-type, high­ frequency direction finding device then used by the U.S. Navy”. Another name/hat thrown into the ring. That’s interesting. Now we have a conflict between Hooven’s account via Cameron Warren and Paul Rafford, Jr. Eugene Vidal, like Safford, always seems to be just in the shadows. I have often wondered as to the full extent of Vidal’s involvement in AE’s RTW flight. A lot of players working their own “slice” with no central coordination.